What challenges and risks do the books in the Old Library face every day and how do we ‘keep’ the books? What is red rot and what does foxing and acid books mean? What measures do we take so that library visitors can continue to enjoy and use special collections in the future? Why do we clean books, and what is the dirt? What are Smoke Sponges, Backuums and unbleached cotton tape? How has the Old Library building changed over the years since 1712? What type of books do we have in the Long Room and when were they made? How many books are there and how have the collections grown over the years? To learn the answers to all of these questions and more, come to the Long Room in the Old Library to hear about keeping the collection of early printed books. The Preservation Assistants are part of an ongoing project, started in 2004, to systematically clean the 220,000+ books of the Old Library. The Preservation Assistants will explain the challenges of preserving an historic collection in a historic setting and explain how the books are cleaned and preserved for the future. Examples of books from the collection, dating from the 15th century to the 19th century will be shown. Occasionally, other staff from the Preservation & Conservation Department may speak about preservation activities in the Old Library. Talks run Monday to Friday at 3pm until 28 June 2019 and last 15-20 minutes. Want to know more? Sarah Timmins, one of our former Preservation Assistants, has written a great piece on how our precious books in the Long Room are repaired. 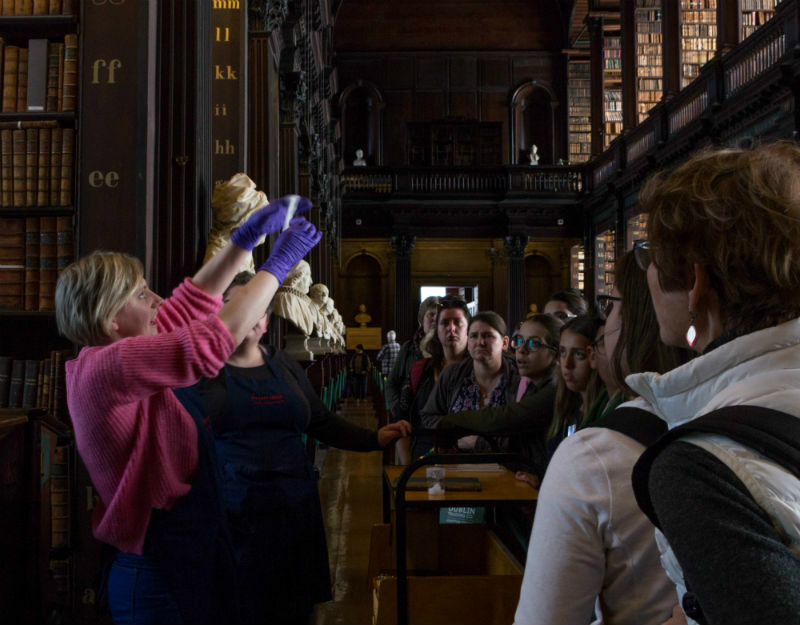 Alumni and current students can see the Book of Kells, access the Long Room, and attend these talks for free, with up to three guests. Other visitors who have paid for entry to the Old Library are welcome to attend the Keeping the Books talks for no additional charge. 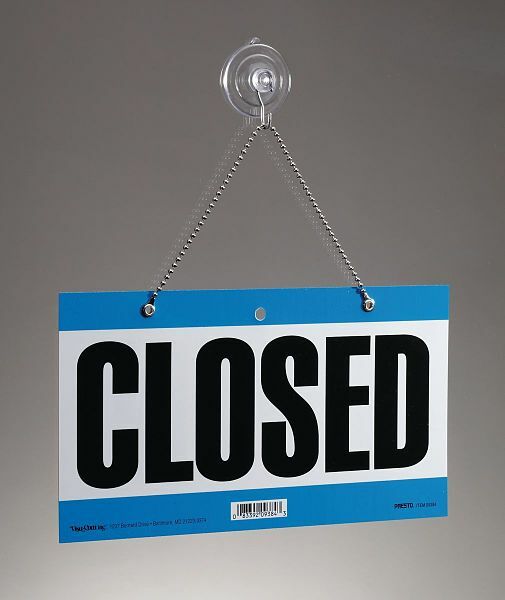 The Library will be closed Monday 16th October due to the Status Red wind warning for Ireland issued by Met Eireann. The closure covers all reading rooms and Library buildings, including our 24-hour study areas and Library facilities outside the main campus. Stay safe! Normal service is expected to resume on Tuesday 17th October. What does ingrained dirt on books and ice hockey have in common? What is red rot and foxing? How long did it take Trinity College Dublin to acquire its first 100,000 books and how many books are added annually? Do people still read the books in the Old Library? How are the books in the library organized on the shelves? Where can you see every page of the Book of Kells? What subject matter is covered in the Library and how was the collection built over time? What are the greatest threats to a historical library and how do we protect the books? To learn the answers to all of these questions and more, come to the Long Room in the Old Library to hear the Preservation Assistants talk about keeping the collection of early printed books. The Preservation Assistants are part of an ongoing project, started in 2004, to systematically clean the 220,000+ books of the Old Library. They’ll walk you through the challenges of preserving an historic collection in a historic setting and explain how the books are cleaned and preserved for the future. Examples of books from the collection, dating from the invention of the printing press in the 15th century to the Victorian Era in the 19th century will be shown. Talks run Monday to Friday at 3pm until 18th August and last 20 minutes. Want to know more? Sarah Timmins, one of our current Preservation Assistants, has written a great piece on how our precious books in the Long Room are repaired. Original text by Heather Courtney. Hot off the printing press and just in time for Christmas is a beautifully little book that provides an overview of the Library’s early Irish gospel books. The Library of Trinity College Dublin possesses seven early Irish gospel books, dating from the 7th – 9th centuries and possibly earlier, of which the Book of Kells is the most famous. This book outlines what is known about how these manuscripts were made, including recent scientific research on the pigments used by their makers. It explores who might have been responsible for their creation, and the type of environment in which they worked. The different formats of the books, and the nature of their ornament yield some clues as to how they were originally intended to be used, while various interventions – from added lines of text, to forged signatures, to particular patterns of damage – provide glimpses into the stories of their survival. The book is lavishly illustrated with many photographs published here for the first time. The book is available in the Library shop (with the usual staff discount), and via email from nphelan@tcd.ie. The Book of Kells is obviously one of the best-known treasures of the Library, so it’s always nice to see it mentioned by the media. This gem from 1989 is from the “teenage entertainment show” Jo-Maxi, and discusses how the Book of Kells was reproduced for printed facsimile copies – the images taken then are what formed the basis of the later DVD, app and online versions. The Librarian of the time being interviewed, Peter Fox, is the author of Trinity College Library Dublin: A History. This year’s event promoting Trinity’s role in research took place on Friday 30 September at locations across campus – and the Library was well represented by involvement in four of the talks and presentations. Probe was a free evening of music, talks, performance, films, food, experiments and workshops that explored the fascinating research that is shaping our world. Join Library experts in the exhibition area to discover how they research, interpret and conserve the treasures of the Library. Get an insight into the imagery, materials and techniques that were used to produce our most precious early manuscripts, such as the Book of Kells. Take a look down a microscope at the tell-tale characteristics of parchment and leather, and handle some of the raw materials used to create, and to conserve, the early book structures. Take a closer look at the detail and learn about the meanings hidden in the decoration. What does it mean to have the entire published universe of two jurisdictions, the UK and Ireland, at your fingertips? What kind of research is needed in order to help researchers navigate this universe? Come join us to experience the weird and wonderful depths of the Library’s modern collections. See how a book ends up in the catalogue; how researchers can read Library materials without ever setting foot in a library building; how electronic publications are collected; and how even transient web pages are captured for posterity. Friendly Library staff will be on hand to show and tell, to explore questions about the (digital) future and to discuss some of the possible answers. Explore the work of Trinity’s DRIS (Digital Resource & Imaging Service), a department dedicated to the development of digital library collections to support research, teaching and scholarship. The team at DRIS, in collaboration with Computer Science researchers, will be demoing a software app which displays resources about the Harry Clarke Studios from the DRIS Digital Collections database, provides geolocation information about the churches where the related stained glass windows can be found (based on Ordinance Survey data), and maps out how to get there. From meteor impacts to ancient scrolls, join us for a storytelling event in Trinity’s iconic Long Room that reveals the different ways researchers look to the past. Featuring geologist Ian Sanders on reconstructing our planet’s ancient past, zoologist Nicola Marples on understanding the evolution of life, geneticist Dan Bradley on decoding humanity’s past by looking at our DNA, and our own Manuscripts & Archives Research Library curator Jane Maxwell on uncovering and protecting the artefacts of human culture. This free (but booking essential!) lecture will examine some familiar aspects of the history of Trinity College Library Dublin from a less familiar perspective. Much of what we now take for granted: the foundation of the Library in the 16th century, the building of what we now call the Old Library in the 18th, the New Library (now the Berkeley) in the 20th, and Trinity’s continuing right to claim new books published in both Britain and Ireland – all of these involved complex negotiations, the outcome of which was far from certain. The story of the Library was directly affected by the intervention of major historical figures – monarchs: Elizabeth I, Queen Anne and Charles II; archbishops: James Ussher, William King and John Charles McQuaid; politicians: Oliver Cromwell, Eamon de Valera and Seán Lemass. These all feature in the lecture, which will cover the political background to the development of Ireland’s greatest library and its relations with church and state over four centuries. Full details and how to book can be found on the RDS website. Peter Fox worked at Trinity College for 15 years, first as Deputy Librarian and then as Librarian and College Archivist. He edited Treasures of the Library: Trinity College Dublin, published by the Royal Irish Academy in 1986, and the commentary volume to the Book of Kells facsimile. His history of Trinity College Library Dublin was published in 2014 by Cambridge University Press. From 1994 to 2009 he was the Librarian of the University of Cambridge, and he is a Fellow of Selwyn College Cambridge. In preparation for the evening, the students were brought on an extended tour of the Old Library and the Book of Kells. Dr Lydia Ferguson introduced the pupils to some of the Pollard collection, which includes over 11,000 children’s books collected by Mary Pollard over a period of 50 years. The students were also introduced to the theme “Hello Stranger” and given examples to assist them with their projects. Further information on this day and the theme itself can be found in detail on the associated blog by Catherine Ann Cullen. This has become an annual event and is a fantastic experience for all involved. We are looking forward to welcoming the students, and their families, on Wednesday evening. The handmade books will be displayed in the Long Room until April 10th. It is free of charge for friends and families of those in the three schools involved, as well as any students, staff and alumni of the College who wish to view these creative additions to our Old Library. A Book of Kells Costume! Fancy something a little different for Halloween? We occasionally come across iconic images and buildings associated with the Library using in novel and interesting ways, such as the recreation of the Old Library on a wall in Poland, or a library eerily reminiscent of the Long Room appearing in Star Wars. Add to that this costume inspired by the Book of Kells. The creator used our online repository of the Book to create a skirt and temporary tattoos. She clearly has a great love for the manuscript and took pains to treat it with respect – even though medieval copyists themselves might not be so scrupulous. It’s certainly not something you’ll see every day – great work Amanda! The Library of Trinity College Dublin would like to announce that the Book of Kells in its entirety is now viewable in the Library’s new Digital Collections online repository, provided by the Library’s Digital Resources and Imaging Services. Direct link to the Book of Kells online. The Book of Kells transparencies, originally captured by Faksimile Verlag, Lucerne, Switzerland in 1990, have recently been rescanned using state of the art imaging technology. These new digital images offer the most accurate high resolution images to date, providing an experience second only to viewing the book in person. In addition, we would like to direct you to the new iPad app of the Book of Kells, with added functionality and commentary. Have you seen the new volume on the Book of Kells by Trinity’s Head of Research Collections and Keeper of Manuscripts, Dr Bernard Meehan? It’s been receiving fantastic reviews. Available at all good bookshops or directly from the Library Shop.